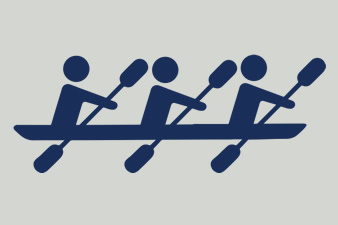 "Albaugh – Your Alternative" is the short way to describe what we are all about. We create and supply crop protection products used by farmers across the globe thereby making their farming operations more economical. We are ultimately helping produce and secure an affordable supply of food to help feed and support the population of the world. 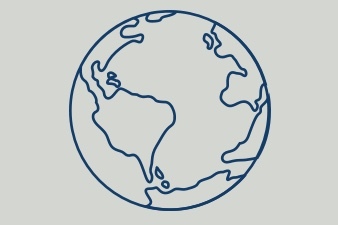 Albaugh today is a global business, operating with a direct presence in key agricultural regions of the world including: North America, Mexico, Brazil, Argentina and Europe. From these locations we are also serving other markets such as Central America, South America and Africa. In each of our key regions, we operate manufacturing facilities which assure the quality and competitiveness of the products that we supply. We value the cooperation with our distributors and partners, as we operate very efficiently, with lean organizations throughout our company. Albaugh’s focus on efficiency is a critical business component and is embedded in the teams responsible for active ingredient sourcing, supply chain, production and sales support. Today the ambitious goals, entrepreneurship, focus, persistence, and integrity have never been stronger in our company culture. On behalf of all Albaugh colleagues, it is my pleasure to invite you to learn more about our company and how we strive to support farmers, distributors and partners by living up to our brand "Albaugh – Your Alternative". ANKENY, IA AND FORT COLLINS, CO, October 31, 2018 — CoAXiumTM Wheat Production System driven by AggressorTM herbicide exceeded expectations in 2018 performance evaluation trials, demonstrating visibly superior control of feral rye (cereal rye), downy brome and jointed goatgrass. The continued addition of new products to the portfolio and expansion into more segments will secure future strong growth benefitting the farmers, distributors and partners we serve around the world. Albaugh supplies a broad portfolio of crop protection products to cover the many needs of farmers and other users globally. The core product portfolio is based on five key active ingredients produced in our own plants as well as numerous other active ingredients sourced from the most reliable suppliers globally. Glyphosate The leading herbicide used globally for total non-selective weed control in no-till, burndown and in-crop applications in agriculture as well as many other applications in turf, ornamentals, forestry, land management and non-crop segments. Albaugh offers glyphosate in numerous formulations and mixtures in all our markets. 2,4-D A well-established selective herbicide for control of broadleaf weeds in several crops such as cereals, corn and pasture, as well as in pre-plant burndown applications and in non-crop segments. Albaugh offers 2.4-D in numerous formulations and mixtures in all our markets. Dicamba A key post-emergence selective herbicide for control of broadleaf weeds in numerous crops and in non-crop applications. Albaugh has been marketing dicamba in numerous formulations and mixtures in USA for many years and is now expanding our participation to our other markets. Copper A traditional contact fungicide protecting numerous crops from important diseases. Albaugh offers many types of copper fungicides globally and in numerous formulations, including the unique HIBIO® technology offering increased bio-efficacy at lower rates. Atrazine A traditional broadleaf herbicide primarily used in corn and no-till burndown applications. Albaugh is marketing atrazine only in the Mercosur countries of South America. Other Products Albaugh is marketing a wide portfolio of herbicides, insecticides, fungicides, seed treatment products, plant growth regulators, specialty products, and biological products. Please refer to the regional site for each market for more information on the specific product portfolios offered in that region. Dennis R. Albaugh Founder - Chairman Dennis was raised on a family farm in central Iowa. After graduating high school, Dennis attended Des Moines Area Community College, receiving a degree in agricultural business. He also served his country in the National Guard. After short stints in sales, Dennis founded Albaugh in 1979 as one of the first companies focused entirely on the post-patent crop protection segment. Under Dennis' leadership the company has grown from its humble beginnings to today, employing 1600 people and operating 7 manufacturing facilities on 3 continents, producing a diversified portfolio of post-patent herbicides, fungicides, insecticides and other crop protection products. Kurt Pedersen Kaalund Mr. Kaalund is the Group CEO and also serves on the Board of Managers. Before joining Albaugh Kurt worked for Cheminova for 24 years, the last 5 of which as the CEO. Kurt holds a Master’s degree in Strategy & Marketing and Bachelor’s degree in Business Administration and Economics from Aarhus University. 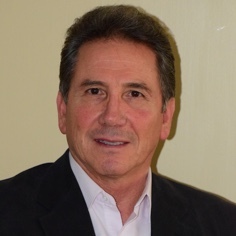 Roger Underwood Roger joined the Board of Managers of Albaugh in January 2015. Roger is the co-founder of Becker Underwood which under his leadership grew into a multi-national company before being sold to BASF Chemical Company in 2012. 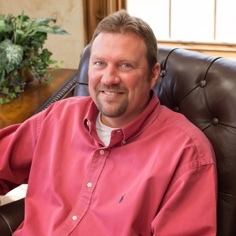 Roger holds a Bachelor of Science degree in Agricultural Business from Iowa State University. Spencer Vance In addition to serving on the Board of Managers, Spencer holds the position of President, North America. 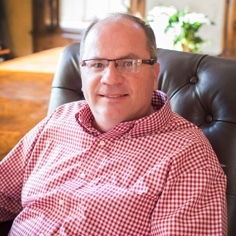 Spencer began his career as Territory Manager and National Phenoxy Accounts Manager at Dow Chemical, moving to Albaugh in 1992 as National Sales Manager. Spencer received a Bachelor of Science degree in Animal Science and Agricultural Education from the University of Nebraska. Wang Rong Mr. Wang Rong joined the board of Managers of Albaugh in March 2018. He is the co-founder and CEO of Nutrichem Co., Ltd. in Beijing, China. He has worked with Nutrichem since its foundation 16 years ago. Under his leadership, Nutrichem has grown into a comprehensive provider of agrichemical products to the global crop protection market. Mr. Wang holds an EMBA from Peking University Guanghua School of Management and a Bachelor degree in International Trade from the University of International Business and Economics in Beijing. Albaugh is operated according to a global matrix organization. Each Market has full responsibility for execution of all local activities and for results. The group leadership functions are responsible for setting policies and priorities and for coordinating across the Markets. 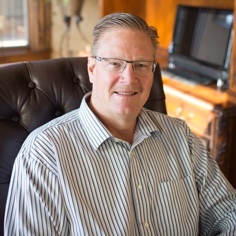 Kurt Pedersen Kaalund Group Chief Executive Officer Kurt was appointed as CEO of Albaugh in 2014. Before joining Albaugh, Kurt worked for Cheminova for 24 years, the last 5 of which as the CEO. Kurt holds a Master’s degree in Strategy & Marketing and Bachelor’s degree in Business Administration and Economics from Aarhus University. Spencer Vance President, North America Spencer began his career as Territory Manager and National Phenoxy Accounts Manager at Dow Chemical, moving to Albaugh in 1992 as National Sales Manager. Spencer received a Bachelor of Science degree in Animal Science and Agricultural Education from the University of Nebraska. 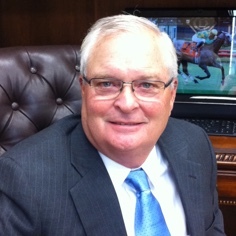 Spencer has served as President, North America since 2000. Cesar Rojas President, Argentina/ President, Brazil Cesar joined Albaugh as the President, Argentina in November 2016. Cesar has 25 years of experience as General Director and President in various agchem roles in Latin America. Cesar has a Bachelor’s degree in Agronomy Engineering and has completed post-graduate studies in business administration from INSEAD. 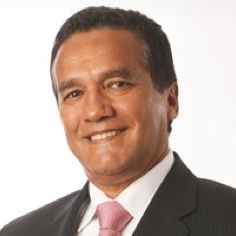 In April 2019 Cesar was appointed to also oversee operations in Brazil. Pablo Diaz Toledo President, Mexico Pablo has served as President, Mexico within Albaugh since 2003. Pablo came from a diverse background serving in different managerial levels within chemical industries in Mexico, including 16 years in the agchem sector. Pablo has a Bachelor of Science degree in Chemical Engineering (UNAM), a Masters of Business Administration degree from UACH, and has completed post graduate work in Business Management-Innovation & Technology at IPADE. Douglas Kaye (DAK) Chief Commercial Officer & President, Europe Dak, was appointed to CCO in 2019, and in this role is responsible for the commercial activities and the leadership of the 5 Market Presidents. Dak joined Albaugh in 2011 as the CFO for Europe and succeeded to the position of President, Europe in 2012. Before joining Albaugh Dak served as the CFO of Alligare. Dak holds a Bachelor of Science degree in Business Administration and a Master of Science degree in Accountancy from Auburn University. Russell Browning Chief Operations Officer Russell, COO, is responsible for planning, sourcing, procurement, logistics, and supply intelligence and analysis. Russell held procurement-related roles in Griffin LLC and Micro Flo Company before joining the Albaugh team in 2003. Russell has a Bachelor’s degree in Business Administration from Valdosta State University. 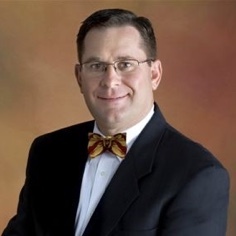 Todd Figley Chief Financial Officer Todd was appointed CFO in 2019 after having served in leadership roles in accounting and finance for Albaugh since 1998 including the position of Vice President, Finance since 2014. 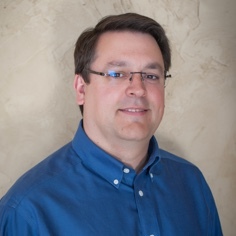 Todd’s responsibilities include oversight of all accounting, analysis & reporting, finance, treasury & tax, and IT & BI Systems for Albaugh. 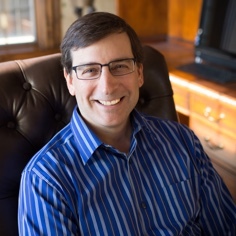 Todd previously worked for Deloitte & Touche LLP from 1990-1998 in public accounting. Todd has a Bachelor’s degree in accounting from Iowa State University. 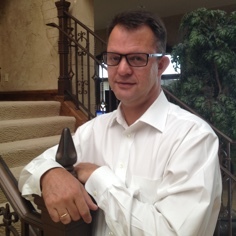 John Froehlich Chief Technology Officer John was appointed CTO in 2019. 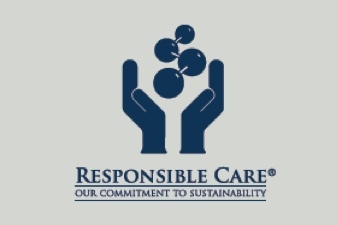 In this role John’s responsibilities include production, formulation & packaging, manufacturing technology, synthesis process & formulation development, & EHS&Q. 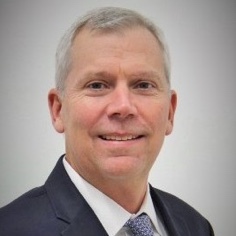 Prior to this appointment John held several other roles within Albaugh, including manager of Albaugh's plant in St. Joseph, Missouri and, since 2014, Vice President, Production. Before joining Albaugh John led production activities at Nalco Company, ConAgra Foods and FMC Agricultural Products Group. John has a Bachelor’s degree in Chemical Engineering from the University of Nebraska. Please select a region below to be taken to that Web site. Covering USA and Canada, the business is managed from the headquarters in Ankeny, Iowa. A very broad portfolio based on products containing glyphosate, 2.4-D, dicamba, copper and numerous other active ingredients are marketed in both countries for agricultural uses. In addition we offer products for specialty (e.g. T&O), seed treatment and other uses in the USA. 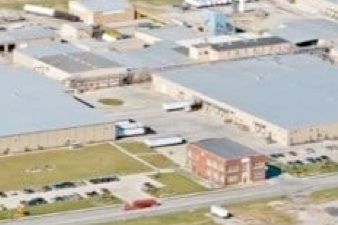 Manufacturing, formulation and packaging are located centrally to the market at St. Joseph, Missouri, offering efficient responsiveness and timely distribution to customers. Managed from the Buenos Aires headquarters, the business covers the entire country of Argentina as well as the other markets in Latin America South. The portfolio has historically been focused on products based on the core herbicides glyphosate, 2.4-D and atrazine but is continuously being expanded with additional important products for the local markets. 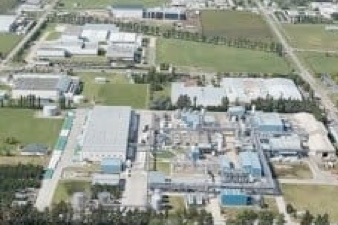 Dedicated manufacturing plants for glyphosate, 2.4-D and atrazine are operated in Pilar, Rio Tercero and San Nicolás with formulation and packaging activities for other products located in the key agricultural area of San Nicolás. Originally focused on core herbicides and the South of the country, the portfolio has now been expanded through the acquisition of Consagro and continued product development to address the needs of farmers throughout the country, including the important Cerrado region. 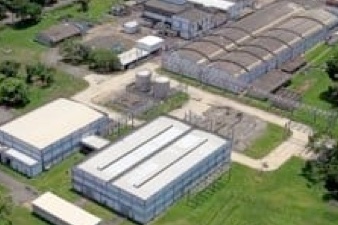 The business is headquartered in São Paulo, and our manufacturing plant in Resende, RJ manufactures copper fungicides and performs formulation and packaging activities for our other products. 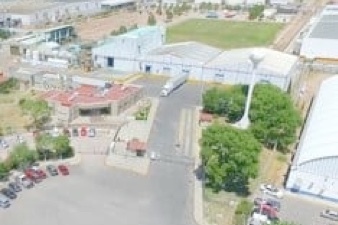 With headquarters in Guadalajara and a copper plant in Chihuahua, the business is operated in two divisions. The products division manages our own portfolio currently consisting of copper fungicides and the LatAm North business. The distribution division operates out of 60 local branches across Mexico servicing farmers and retailers with a complete portfolio based on products supplied by leading industry suppliers. Headquartered in Lausanne, Switzerland, the Market is covered by local sales forces covering all country markets in Europe and, in addition, serves customers in the Middle East and Africa. Originally dominated by products based on glyphosate and copper, the portfolio is continuously being expanded with new product registrations. 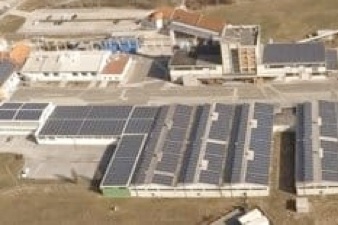 The business is serviced by formulation and packaging activities at the centrally located plant in Rače, Slovenia. © Albaugh, LLC. All Rights Reserved.